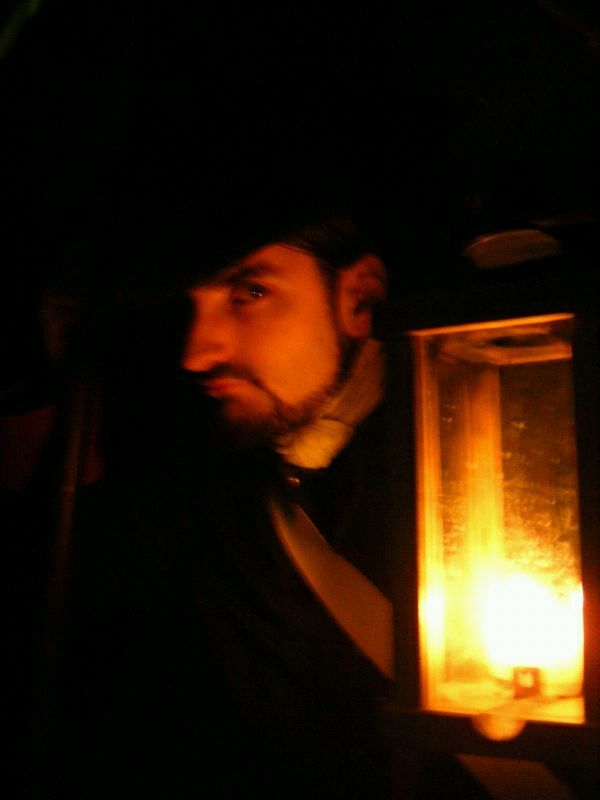 Spooky Tours, Ghost Walks and Guided Tours in "Heidelberg, the original since 1996"
You are planning a meeting for a team of 20 or a conference with 300 participants in Heidelberg? Our guided tours work perfect as social programme! Ask for our complete range of guided tours, themed tours, scavenger hunts and for our specials like beer and wine tours. We can provide more than 40 different tours and walks in and around Heidelberg for your function. Below you find some "apetizers". Oh, ...you also can ask for our customized tours and walks. 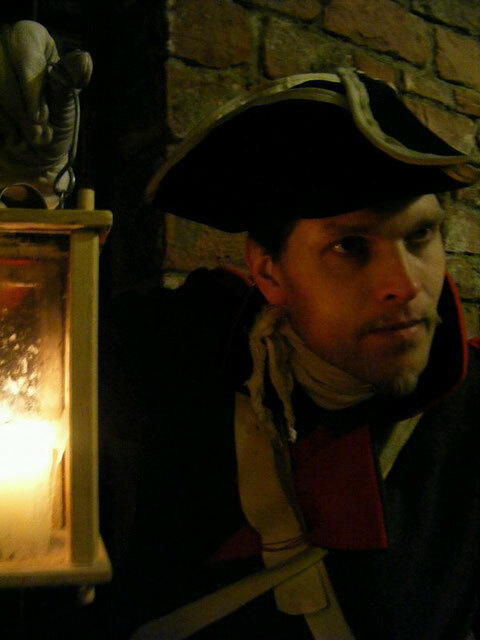 Just call Andreas, he will take care about your "Heidelberg Experience" with our guided tours, spooky tours and ghost walks . If you are travelling with friends or family you have to explore Heidelberg with our exclusive private tours. Try our famous beer and special dishes during our culinary walks. 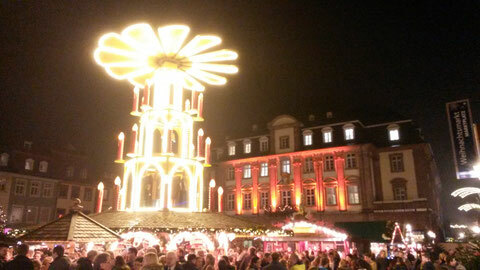 In December we also offer special tours on the famous "Christmas Market" (Weihnachtsmarkt). Discover street markets, shops and craftshops with our personalized walks or enjoy the dark side of Heidelberg with the nightwatch man. Our team of art historians and archaeologists provide an ambitious and lively picture of Heidelbergs present and past. 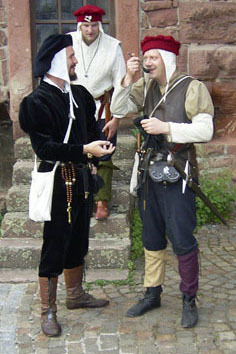 Whether you choose to roam the Heiligenberg - the hills above the Neckar River - with a Roman centurion, or to explore the picturesque Old Town with the grand-ducal night watchman or, if you dare, to discover a truly bloody trade with the hangman’s daughter, we will illuminate Heidelberg, her history and her legends. We take pride in the accuracy of what we show and the knowledge of our guides. This makes a tour with us a fresh and exceptional pleasure. Enjoy "Heidelberg the original since 1996". 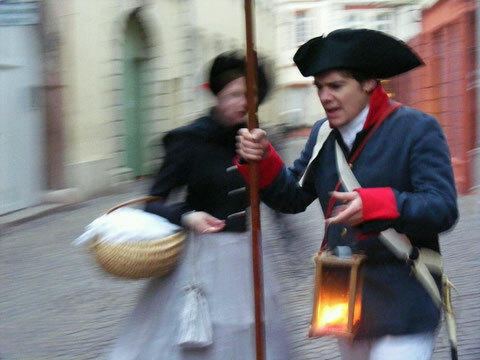 GHOST WALK with the "Nightwatch Man"
Join us on a nocturnal journey to the scenes of horrible appearances, myths and legends of the Old Town of Heidelberg. 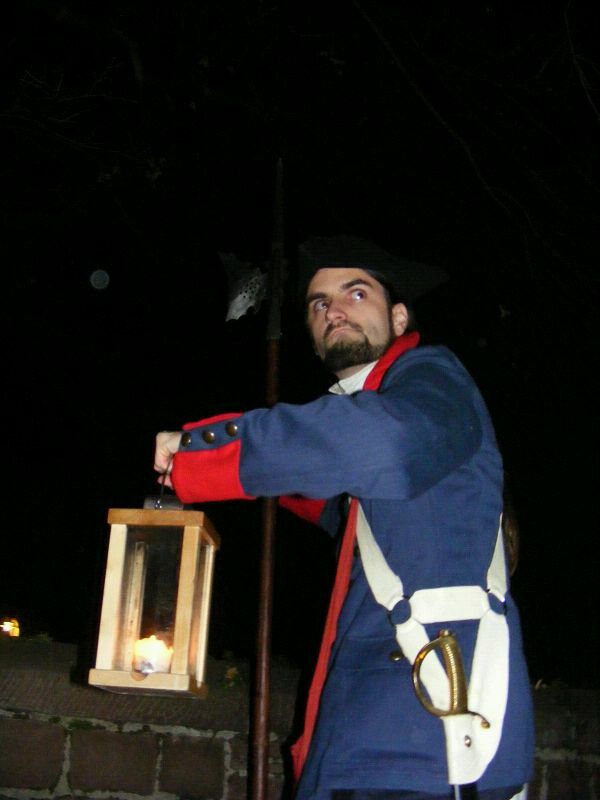 The night watchman of the Heidelberger Town Guard will take you to places and events that should have remained unheard of! Shameful murderers, dissolute students and terrible wrongdoers who once struck terror into people’s hearts roamed the streets of our romantic town and many a lane harbours dark secrets of the past centuries. 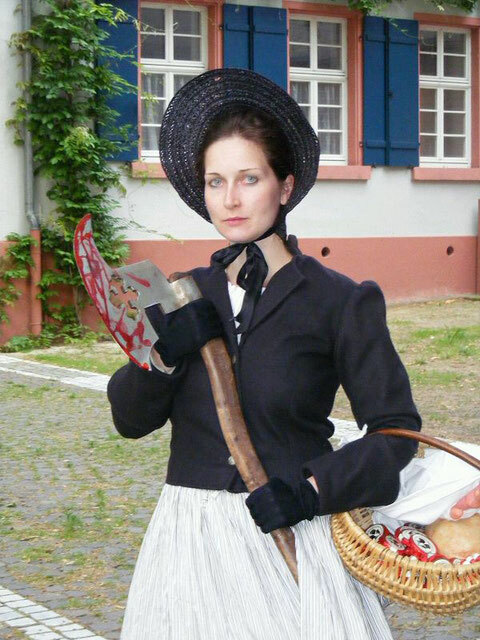 Join the hangman’s daughter on her journey through Heidelberg’s alleys. The Middle Ages – witches are burning on the banks of the Neckar, whores and pick-pockets are plying their trade at the Old Bridge and the Heidelberg hangman is offering his bloody services to the authorities with a menu of prices. Accompany the hangman’s daughter „Vasner Katharina“ on a journey through the chilling history of an almost forgotten trade from the middle ages to the 19th century and discover the other, dark side of the romantic Old Town. Ramble through the history of crime and corruption during the Romantic Period. In the 19th century, Heidelberg was the capital of the “Rheinromantik”, but behind the picturesque facades lurked vice, crime and dark deeds: old ladies are butchering cats and selling them as roasts to taverns, students slay a respectable garde grenadier, and a dealer in antiques is selling the saber of the infamous robber Hölzerlips by the dozen to unsuspecting English tourists. 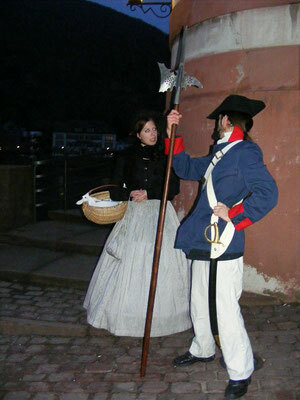 Have a wicked good time on our Criminal Walk through the Old Town of Heidelberg! Experience up close the history of the time-honoured residence of the electoral counts palatine. Visit the Old University, Marstall, Hercules Fountain, Old Bridge, Witches’ Tower and Synagogue Square, to name just a few of the sights. You will surely enjoy this tour spiced with historical facts and amusing stories about the “pearl of the Neckar”. The ultimate walking tour for Heidelberg-newcomers and fans. Accompany us on our twilight walk around Heidelberg Castle and listen to stories from the lives and daily routines of the castle inhabitants by flickering candlelight. History and soldiers’ Latin draw a colourful picture of a time which was not all that dark. Naturally we will consider serious questions such as the purpose of the small bells on the privy capsule of the lords of creation! Fortress Heidelberg as well as service and equipment will be explained by our ‘time traveller’, and the history of his estate. Your guide is authentically dressed and acoutered. 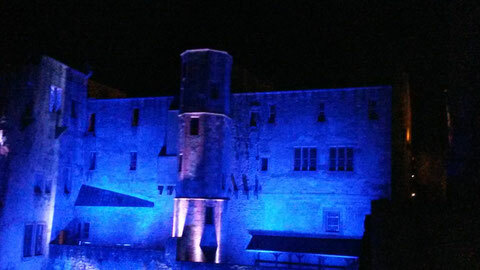 In other words, our special twilight tour will take you into the period of the late Middle Ages and will present the castle and its gardens in a truly different light. Give it a try - see history face to face! This is a journey through the history of pharmacy and medicine, carefully researched and using the best sources. Heidelberg and its university have played an important role in the more recent history of research. Researchers such as Kirchhoff, Helmholtz, Bunsen and Czerny are probably known to everyone. But did you know that nicotine was discovered by the Heidelberg researchers Reimann and Posselt in 1828? Do you recall Koller’s ‘Heidelberg Lecture’, considered the hour of birth of local anaesthesia? Starting from the places of residence and research of important professors and researchers, our rather different city tour then takes you back to the origins of medicine and pharmacy in Heidelberg. 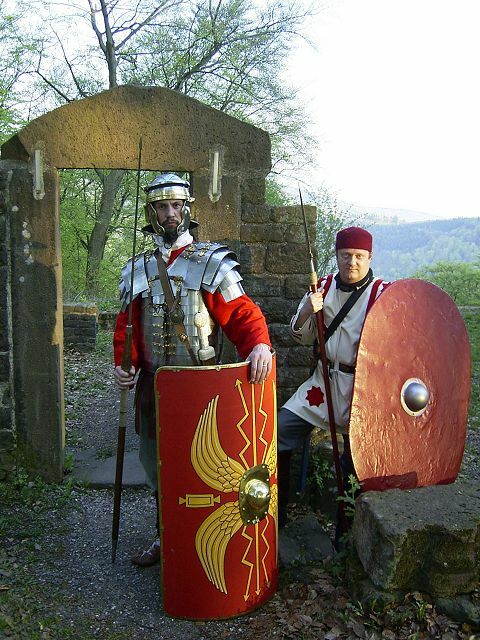 Roam the hills above the Neckar known as the Heiligenberg with the “Roman Centurio Votadinus”. For thousands of years, stories and legends have surrounded the Heiligenberg. The Celts set up a mysterious ritual shaft, the Romans built temples and the Teutons made gruesome human sacrifices for “Wotans wild hunt”. Listen to our legionnaires exciting tales and discover the secrets of the Heiligenberg with him. Our Centurio who originally hails from Roman occupied Britain will share the myths and legends of our ancestors. During the walking tour you will also encounter a Celtic warrior. Dressed in a chainmail shirt and bracae, he will explain jewellery, weapons and gear. And don’t worry, he usually offers a small refreshment, too. Experience a tour of Heidelberg, the capital of romance, with delicious temptations at the Christmas market. Explore the old town of Heidelberg and enjoy the great atmosphere during the festive season. Take a look back at the almost 2000-year history of the city of Heidelberg and enjoy during this tour the Christmas spirit at the Christmas market. The magnificent Neckar Valley invited Celts and Romans to stay, was in the Middle Ages princely residence, home to Germany's oldest university and was much vaunted during German Romanticism holiday and study famous artists. Experience during this tour not only the highlights of Heidelberg, but get out of the mouth of stylishly dressed "eyewitnesses" playful insights into the history of the city. It has, for example, to an encounter with an officer of Heidelberg city guard who is looking for a famous band of robbers, or listen to a chatty maid who not only tells all sorts of anecdotes, but also offers a real specialty, the Student's Kiss or other “refreshments”. This tour offers a guided historic tour of Heidelberg's Old Town and the Christmas market. Enjoy an odd delicacy and a Heidelberg specialty and experience the atmospheric pre-Christmas flair. Our english tours, walks and scavenger hunts are only available as private tours. Today we do not offer public tours. Sorry for that. We provide a wide range of social programmes, team events, teambuilding events, themed challenges and also bushcraft and survivaltraining in the nature preserves around Heidelberg. Just ask Stephanie for our offers for your team challenge. 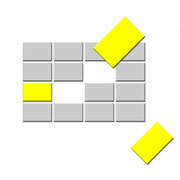 The links will lead you to websites and blogs that deal with Heidelberg topics. The order is not a rating.